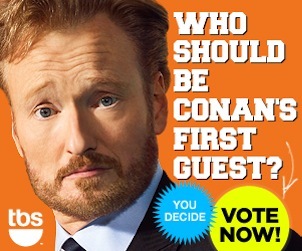 The guest list is pretty much set for the first week of TBS' Conan. Except for the one selected by fans to be the first guest on opening night, Nov. 8th. The 12 available choices range from Pope Benedict XVI (a likely no-show) to Lady Gaga (perhaps) to Jack Nicholson (who so far is leading the voting). Go here if you care enough to join in. As previously announced, the new house band is Jimmy Vivino and the Basic Cable Band. 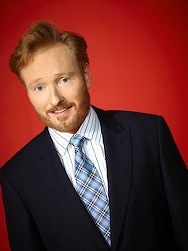 Also, it's beginning to look a lot like host Conan O'Brien is going to keep the beard.